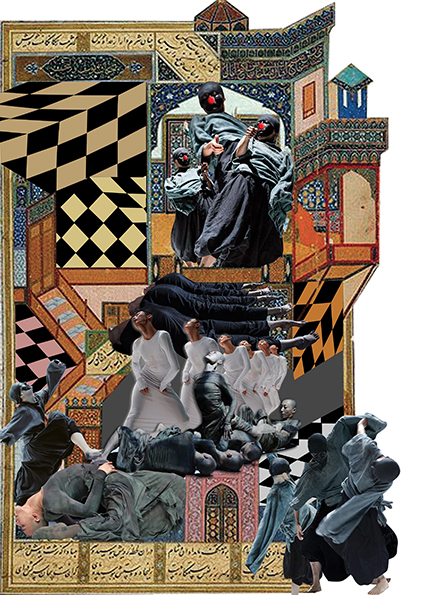 A collage, imposed on classic Islamic art are images of gray, black, and white clothed models, possibly dancers. Some of the people are in positions lying down whereas others are captured in various poses of motion over other figures. Darya Karami, “untitled,” Peace Posters Dialogue Project, accessed April 23, 2019, http://peaceposters.oberlincollegelibrary.org/items/show/359.